Rising local and overseas demand for its customised industrial equipment has prompted a Bahrain manufacturer to expand its production facilities, a process it expects to complete in the first quarter of 2016. 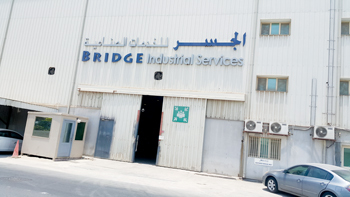 Bridge Industrial Services, which has its plant in the Mina Salman Industrial Area, is installing a new furnace for moulding, a modern CNC lathe machine and two overhead cranes. A company in business for four decades, Bridge’s main income earner is in its welding and fabrication section where it shapes steel and other metals to make moulds for concrete blocks, among other things, and undertakes all types of aluminium welding. “We cater to customer needs, doing precisely what is requested on the basis of drawings and samples – starting from procuring to cutting, welding, fabricating and installing,” remarked Shaban. Bridge has facilities for melting metal and resizing it into required shapes as well as for automotive engineering relating to repairing land and marine machinery and overhauling old engines. The company is currently implementing orders for several Saudi firms including making cement blocks, dies and moulds for Al Ghunaim and Al Ghanim in the Eastern Province. For cranes supplier TWC, Jubail, Bridge is fashioning out crane pulleys. “We have accomplished specialised jobs including fabricating exhaust manifolds for Caterpillar engines for marine applications for a number of Saudi and Bahrain firms at half the OEM prices,” said Shaban. “We have supplied stainless steel tanks to Al Quba, Saudi Arabia, for date processing, and several years ago we did jobs for the Al Nada Water Production Company, Qatar, making dies for bottle caps. In its home market, Bridge has been very successful, responding to contracts from some of the largest firms including the aluminium smelter Alba, the rolling mill Garmco, iron pellets maker Bahrain Steel and the steel producer Sulb. Shaban cited some of the jobs Bridge is currently carrying out in Bahrain including making for Alba a host of contraptions including skip boxes, moulding sanders, crucibles, metal containers, aluminium ladders and working platforms. Other items that Bridge will supply the smelter include pneumatic shafts, gears, gear boxes, bronze items, castings and impellers. Alba is a regular recipient of Bridge’s products. Bahrain Steel has ordered filter casings, anchors, cast iron pulleys, V-belts and similar belts with dynamic balance. Sulb is to receive beams for crane movements and lifting equipment, cooling shields, rollers, starter pieces, funnels, cones and tool holders. For the multinational food giant Mondelez, which is in the process of building a biscuit plant adjacent to its existing cheese and beverage powder factory in Bahrain, Bridge is supplying steel tanks, ladders, platforms and gears. Government organisations are among Bridge’s steady customers. 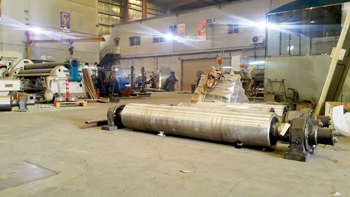 It is in the process of fabricating conveyors and conveyor screw shafts as well as servicing water pumps and a Hanson gear box for power transmission. For the Electricity and Water Authority, it is repairing a range of valves including gate valves. “Our areas of expertise include work gears and works shafts. These gears are used for reducing the speed of revolutions per minute (RPMs) or changing RPMs,” said Shaban. The official said the company has enjoyed 20 per cent year-on year increase in sales over the past six years. “Based on the momentum of orders we have been receiving, we’re hopeful we will see a similar increase this year,” the official added. The expansion that Bridge is now carrying out follows an upgrade to its facilities it completed a few years ago. “We installed CNC plasma and CNC lathe machines, line boring machines, galvanising equipment, shearing machines for 16-mm-thick parts of 3 m length and bending machines for 20 mm thick ends and length of 4 m. The expansion included punching machines and MIG and TIG welding machines. “The expansion helped us to strengthen our base in the Bahrain market and take on more jobs overseas. With the new expansion, we will have more of the same and the confidence and capability to quote for more projects in Saudi Arabia and other states in our region,” said Shaban. The company has a staff of 100 and will be recruiting several more including estimation engineers, once the expansion is completed. Most of its engineers are Bahrainis and trained inhouse while the technicians are expatriates. The Bahrainisation figure is 25 per cent and several heads of department are Bahrainis. 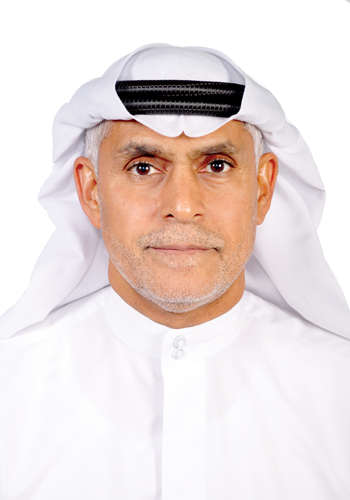 Shaban is keen that small and medium enterprises be given a bigger role in supplying large businesses in Bahrain and recalled his own successful efforts in the matter. “We told the Commerce Ministry there was no point in larger companies spending millions of dollars on imports of parts that SMEs could do here at a considerably lower cost. We do the same thing that the Europeans do. Bridge has been benefiting from the Bahraini Government’s initiative to help make SMEs more capable, productive and competitive. In the latest expansion, for example, Tamkeen, an organisation tasked with developing the private sector, provided a grant amounting to 50 per cent of the BD190,000 ($503,325) cost.